I have to say that Papertrey Ink's Make It Monday challenge this week looked easy and fun. This week's technique is making a Shaker Card. I've never made one before so I thought I'd go for it. I already had fun foam but no confetti so a trip to Michaels was in order. 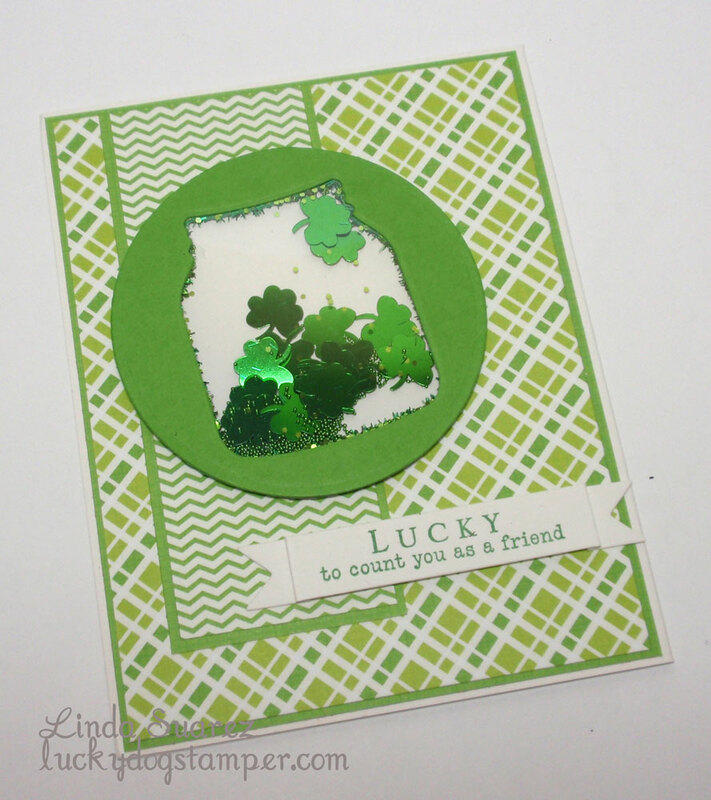 I know I could make my own but I wanted to go with a St. Patrick's theme and I wanted sparkly clovers. I found some other kinds of glitter there that I had to have too. Wink, wink. Okay, so it wasn't as easy as I thought, I was clearly adhesive-challenged. Maybe I need to invest in a Xyron sticker machine cause it looked really easy when Heather used it in her video. And how do you not have your glitter stick to the inside edges? Yes, I am adhesive-challenged. I need to practice this more. Love it Linda!! I also love my xryon sticker maker!! Happy Sunday! this is super adorable....cute design...have a wonderful week! It looks great! Love the whole St. Patrick's Day feel.